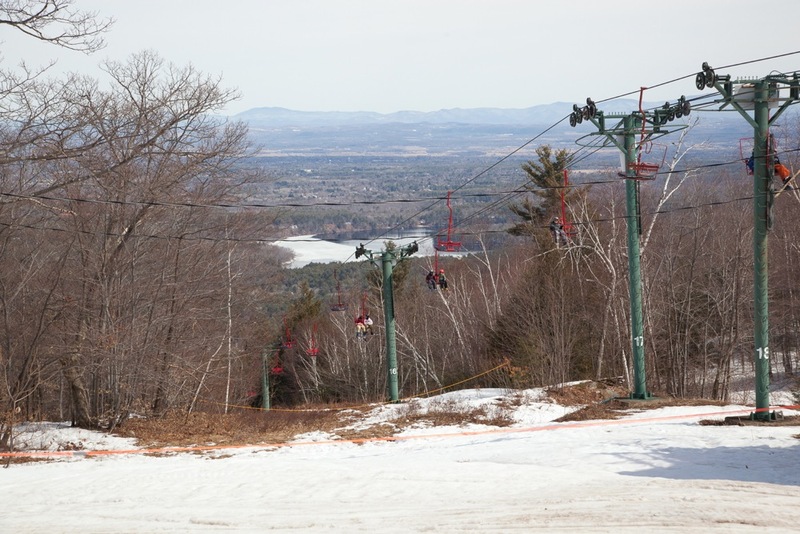 It’s been a great season for East Coast skiers, but if there was one thing we lacked so far it’s been a real spring. Pre-appointed closing days have been shutting the doors and turning off the lifts at some areas without the opportunity for even one good beach session, cruising groomers and hitting bumps all in the name of getting a good tan and saying goodbye to winter the right way. With this in mind, I pointed my gear to West Mountain on the mandatory work holiday for Good Friday. 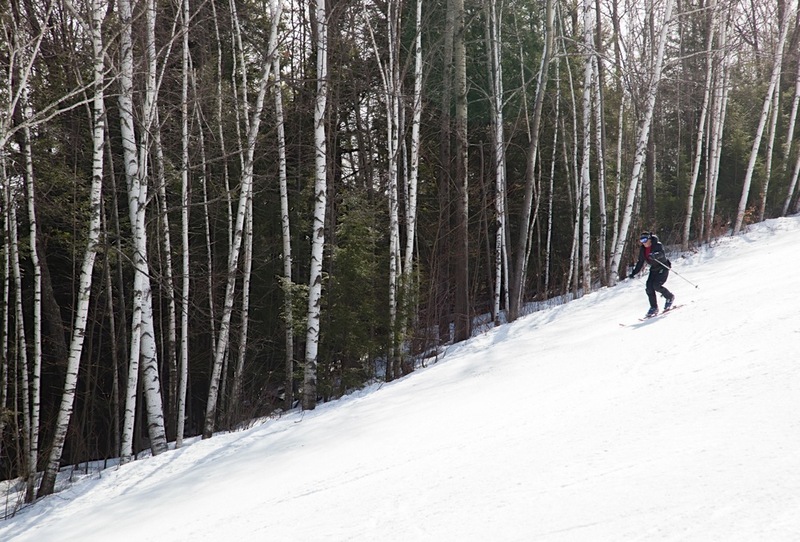 West’s location is an advertisement in itself, easily displaying its fully loaded slopes overlooking the Northway, and it seemed like a few other skiers had the same idea. When we arrived the lot and chairs were fairly full. But there were no lines to speak of and we skated right across from the lodge to step on the Adirondack’s most famous Red Chair. I’ve enjoyed my visits to West quite a bit these past few years. Maybe it’s the fact that it’s so easy to get to, or maybe it’s the friendly vibe and deck scene. I don’t know exactly, but I always find something new to enjoy and there’s usually a tasty rumor to savor about upcoming improvements. Watching a place get the attention it deserves is fulfilling in its own right, but Friday was all about the skiing. 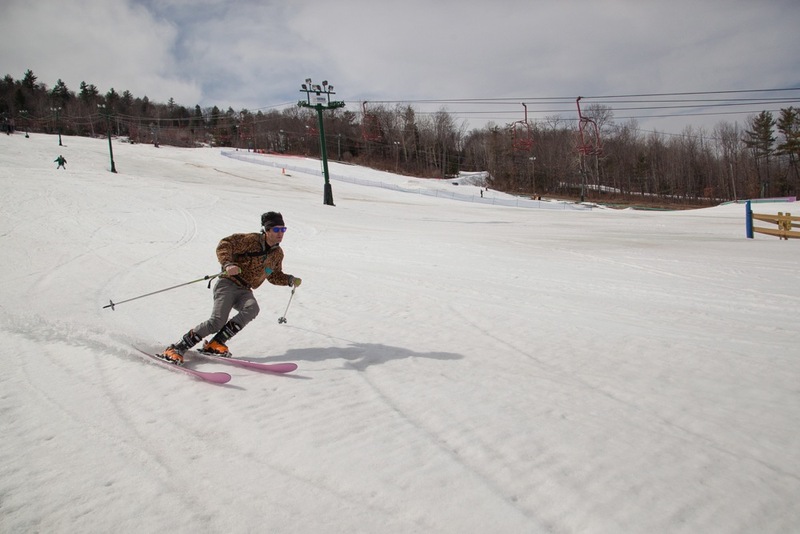 After getting a late start, we looped fast 8s between the double and triple making sure to hit all of the open terrain, which was surprisingly plentiful for April. Mach 2 was an easy pleaser. The headwall provided some interesting terrain features at the top for me with some steep turns and a little chute, while Amy took advantage of the lack of crowds and wide slopes to make some bigger turns. The shady trails near the front face like Blizzard Alley also kept the snow cool and fast in the trees and were a treat in a different way, a side of winter to go with the corn. Bumps were on the menu as well, and by the end of the day it was all I could do to take some fast carving laps on the race hill. Before leaving, I asked an employee what they planned on doing with all that snow. I was told that they planned to go another week to party and ski out the year on April 11th and 12th. As for the weather, it looks like we’ll be getting an early start on actual beach season after all. Party on! Nice report ML. 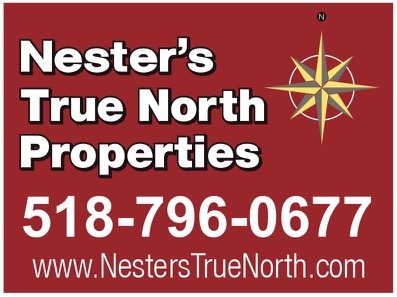 Seems like West is a good stopping point for you on your way north/east. I had some great powder days/nights at West this year. I sure hope they can get midway lights working for next season. A pair of new(er) lifts would be awesome too. Unfortunately they called it a season yesterday due to the threat of rain this week. It was probably a good decision $$ wise, but all the local kids are off this week and I think they would have been fairly busy. 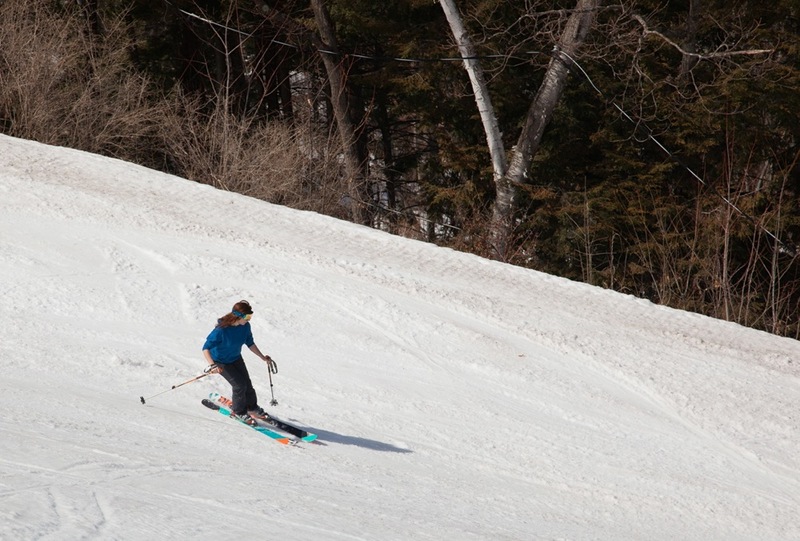 Ski areas have to make tough decisions this time of year – even more so with the amount of snow left this year. Thanks for the good writing. …Harvey, skied to the road again on Sunday with four inches of pow on solid base. Saturday was breakable crust and danger. I like West, though many years I got stuck on the chairlift overnight with a buddy. Despite the free hot chocolate, I don’t know if I will ever forgive them.